Petrissa Solja of Germany crashed out of the Women's Singles event in the second round at the Liebherr 2017 World Championships in Düsseldorf, Germany. 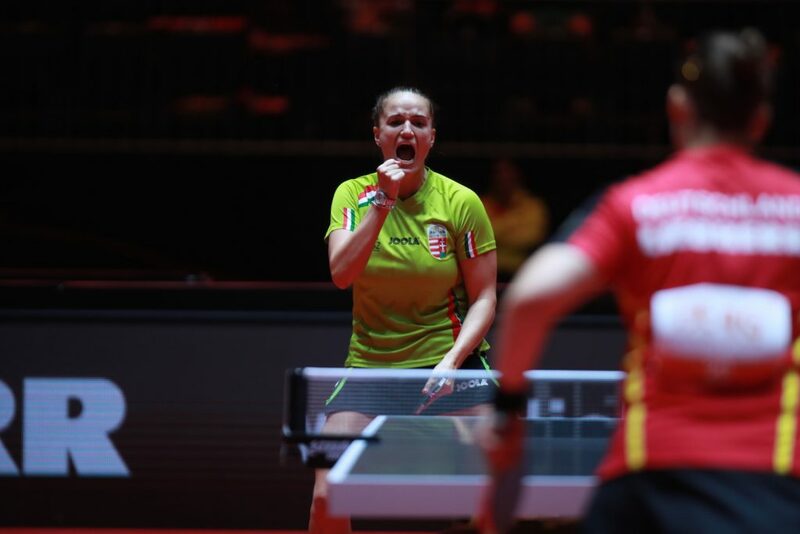 She was beaten five games by Hungary's Szandra Pergel. (11-4, 9-11, 7-11, 3-11, 7-11). It was a nightmare for Germany’s Petrissa Solja, ranked 15th in the world and seeded no.13 in Women’s Singles draw. Szandra Pergel of Hungary is ranked at no.99 and seeded 55th in the tournament. It was a most disappointed Petrissa Solja. “At the beginning I had everything under control, and in the second set I was also leading. But there was one moment where the umpire said I was doing wrong service. From that moment I lost my concentration and felt unsafe with my game because I had to change with backhand service. I am usually I’m not doing this often,” she said. Solja won the first game 11-4 but from the second game onwards, clearly nothing went her way. “I was insecure, I just kept wondering how she would receive my serve, I lost concentration,” said Solja as she broke down into tears. Solja is the highest ranked German, all eyes were on her, she is certainly disturbed by this loss. She left the interview in tears, clearly under shocked with what she had to undergo. Pergel had to battle the crowd support for the German, especially after the situation Solja explained. “All the support from the crowd was for her, but I tried to close it out from my mind. I tried to play slow, and the middle, and then changed the balls to her forehand side,” she said. For Solja, a dream was shattered tonight in Düsseldorf. Shocked, sad and teary eyed Solja departed the Messe arena in pain. It should be noted that there was no complaint regarding any umpiring decision from the German Table Tennis Association.